Originally Published in DeneenBorelli.com on 8/28/14. If you thought the Keystone Pipeline permitting farce was bad, you ain’t seen nothing yet. On Tuesday, the Obama administration announced new regulatory guidance which will inject the same ignorant obsessions of so-called climate change activists into the permitting process of the entire federal government. This action means that bureaucrats and their radical environmentalist allies will now be able to take the same tactics of death-by-permitting-delay seen in the case of Keystone and apply them to every other project affected by the federal National Environmental Policy Act. This means roads, bridges, mines, housing developments, pipelines, and more will now be held hostage to that tiny minority of Americans who would like nothing more than to return this country to the Stone Age. 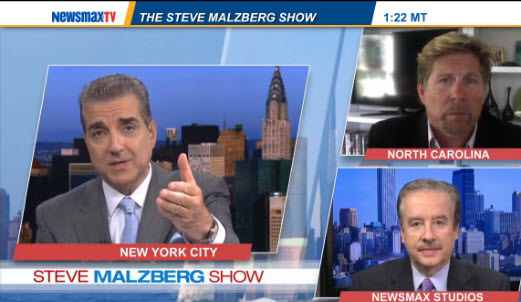 It’s always an energy filled segment when Tom Borelli is debating Jane Velez-Mitchell on The Steve Malzberg Show and this segment did not disappoint.